Superior Septic service is ready for septic pumping in Lake Stevens. We even have a small size pump truck that can make its way down those narrow roads into remote location. Septic pumping is one of the ways to keep your home septic system working properly. A well-maintained septic system doesn’t usually need to be pumped every year. Septic tanks are set up to allow solids to decay, reducing them in volume. You can help out with this process by being careful about what you put down your drains or flush down the toilet. The only things that should go into your septic tank are body wastes, water and toilet paper. In-sink garbage disposals add extra solids to your septic tank – waste materials that could be better applied to a compost heap. 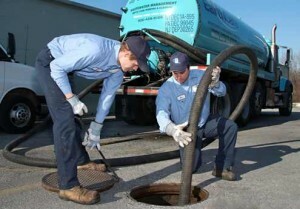 Disposable diapers and so-called flushable feminine products are two more culprits for over-filling your septic tank. Place those items into your regular trash to head off to the landfill. Better yet, limit your impact on the planet by using cloth diapers. There are even some amazing new feminine products that can take care of that monthly disposal problem. Just search for “small planet feminine products,” online, and look at the plethora of alternatives to old solutions. Also, be selective and as “green” as possible when purchasing cleaning products – some items are really hard on the bacteria that is an important part of a healthy septic system. With all of that said, Superior Septic Service really is ready for septic pumping in Lake Stevens, you can call us at (425) 905-2485 if your system has reached that point. No matter how careful and proactive you are about taking care of your home septic system, there eventually comes a time when that tank needs the solids pumped out.